PJ Perry has shared the stage with countless jazz greats such as Dizzy Gillespie, Woody Shaw, Michel LeGrand, Pepper Adams, Kenny Wheeler, Tom Harrell, Rob McConnell, Slide Hampton, Herb Spanier, Bobby Shew, Fraser McPherson, Tommy Banks, Joe LaBarbera, Clarence “Big” Miller, Red Rodney and many more talented artists, too numerous to list here. Recently, he was a featured soloist on the hit 2010 Broadway production of Come Fly Away, highlighting the songs of Frank Sinatra and the choreography of Twyla Tharpe. In 2007 PJ was awarded an Honorary Doctorate of Laws from the University of Alberta. In autumn of 1999 Justin Time Records released a JUNO-nominated recording of PJ and the Edmonton Symphony Orchestra. PJ Perry has become recognized by critics, colleagues and listeners as being one of North America’s premier saxophonists. 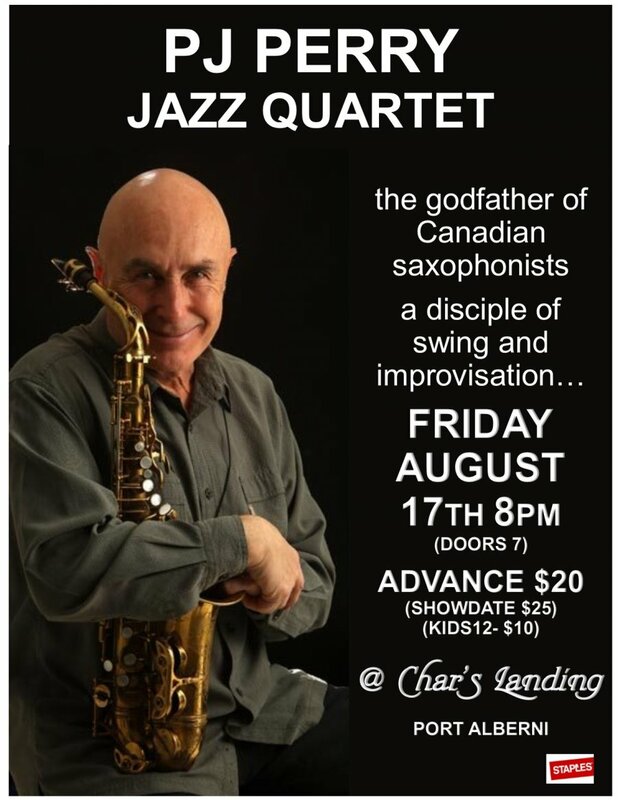 Winner of a 1993 JUNO Award for Best Jazz Recording for his album My Ideal, PJ has received Jazz Report magazine’s Critic’s Choice Award for Best Alto Sax for a record-breaking seven years; from 1993 to 1999. In 2016 PJ Perry was awarded the Order of Canada by His Excellency the Right Honourable David Johnston, Governor General of Canada.